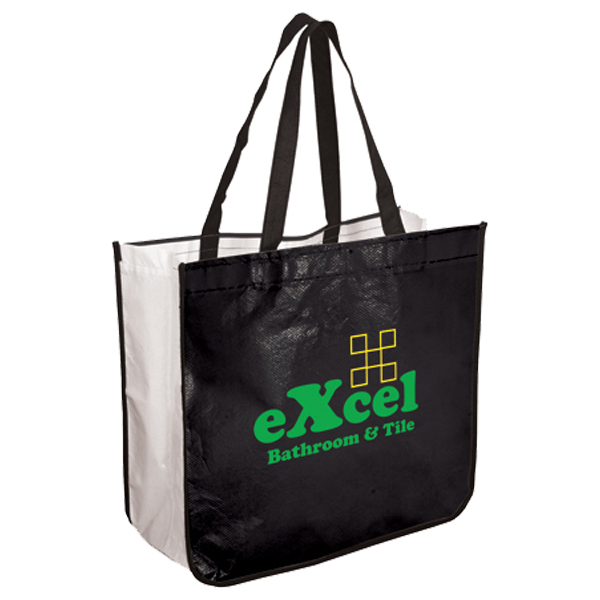 Extra Large Recycled Shopping Tote is the Larger version of our popular TO4511 recycled fashion tote. 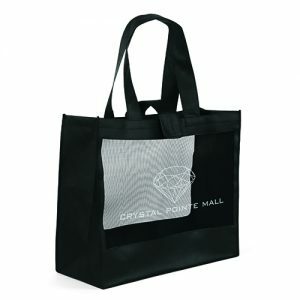 These laminated plastic tote bags are made from high quality material and available at wholesale prices. Contact us today for an immediate quote. See some other high quality options here. 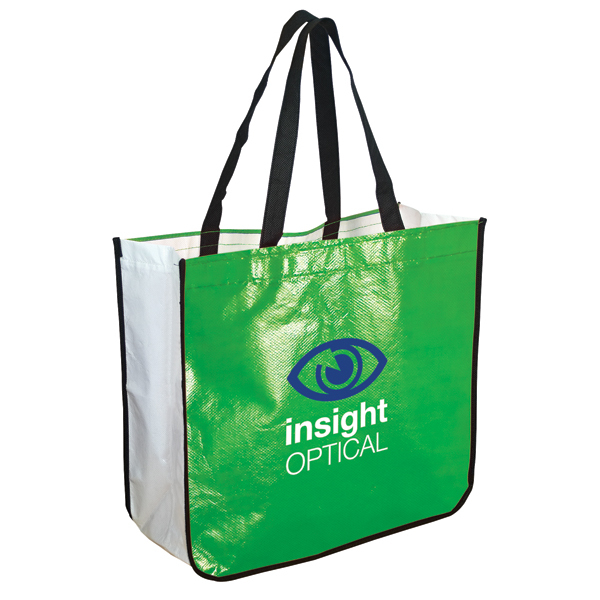 Take your next marketing campaign to the next level with these amazing and stylish custom shopping bags. 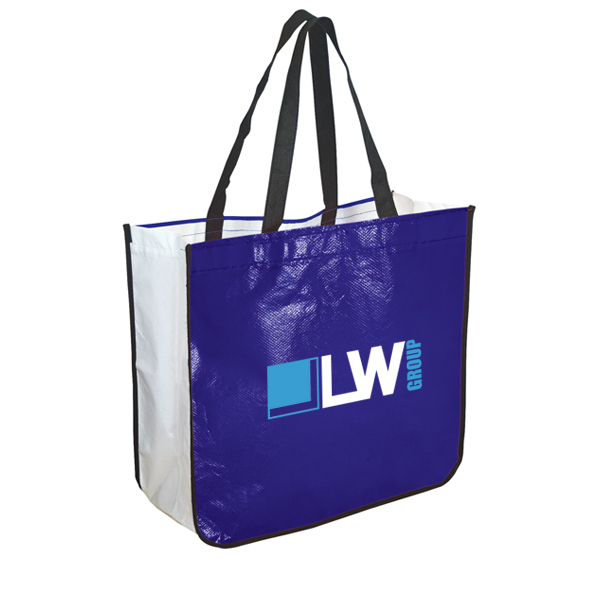 Perhaps your company has a trade show and needs a great promotional product. 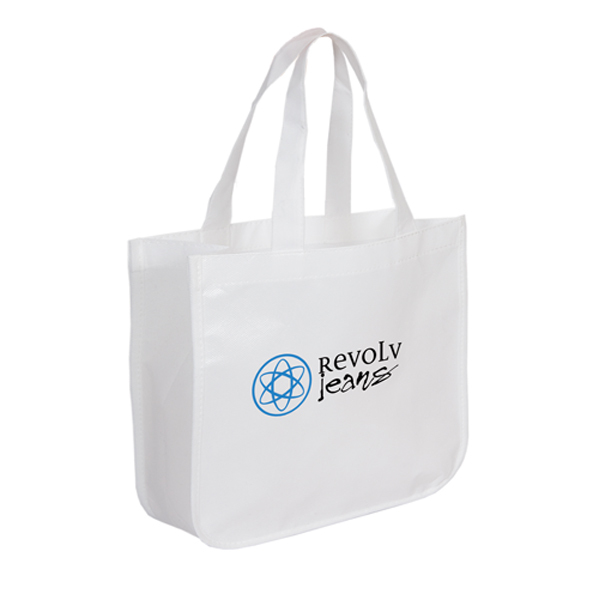 These reusable bags will be just what you are looking for. 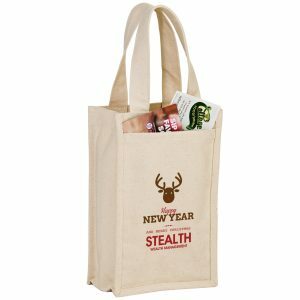 Extra Large Recycled Shopping Tote is the Larger version of our popular TO4511 recycled fashion tote. 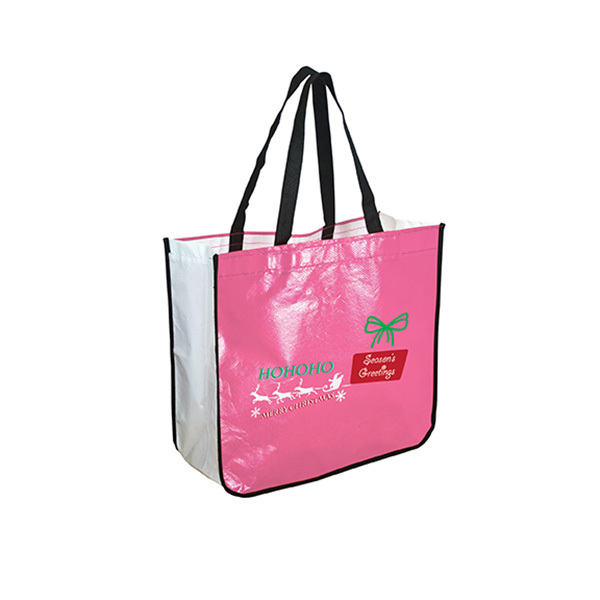 These laminated plastic tote bags are made from high quality material and available at wholesale prices. Contact us today for an immediate quote. See some other high quality options here. You can also see our complete line of products at customgreenpromos.com. 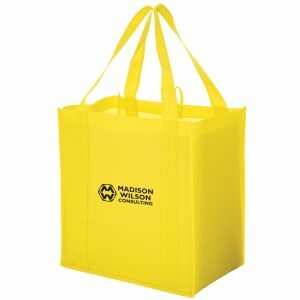 Promotional items are an effective and affordable marketing vehicle. 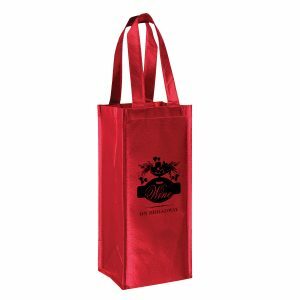 This includes items such as these reusable bags. Does your business have a trade show or corporate event approaching that you need a promotional advertising product for? Possibly one of our wholesale tee shirts or imprinted lanyards will work? We also stock water bottles, pens, and much more. Don’t hesitate to call our customer service team today. 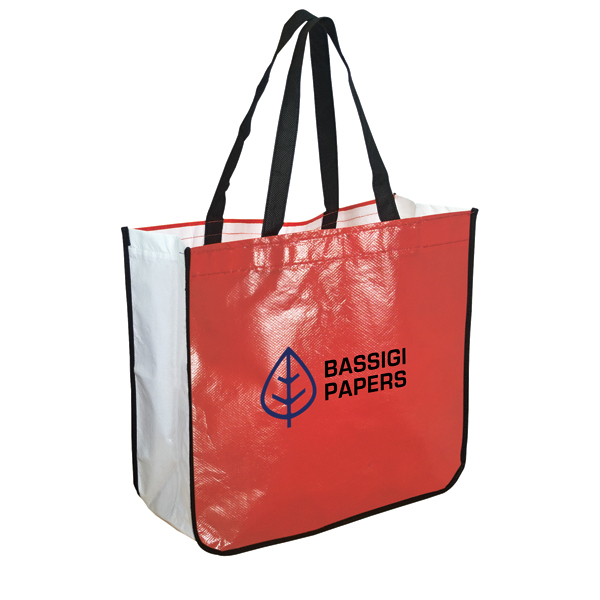 All of our products including our reusable bags will feature your company logo custom imprinted on them and be the perfect item to promote your brand. Please call our sales department for pricing. You can reach us toll free at 888-565-2235. We will be happy to assist you with any questions you have about all of our products. We are looking forward to hearing from you today!